Are you looking for some great fish riddles to share with your friends and family? In this collection of puzzles we have gathered some of the greatest riddles about fish anywhere. One of the most perplexing fish riddles in the internet age was a viral image titled "10 fish are in a tank!" The riddle gives a few tricky clues and asks a very logical question, and has received thousands of frustrated likes and shares on Facebook and news sites. 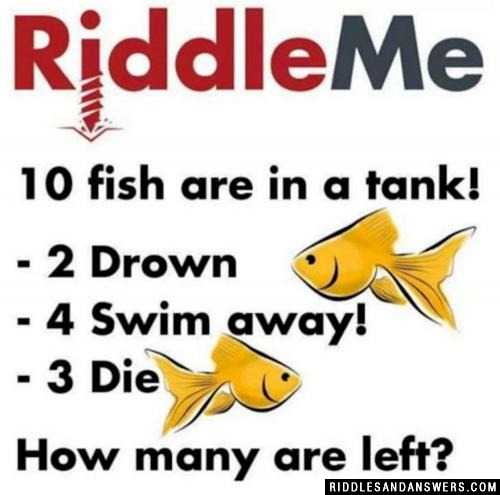 Of course, we have this riddle listed along with a ton of other great brain teasers centered around fish. Most, if not all of these riddles are kid friendly and will be great fun for families and other social groups who appreciate some good, clean fun. 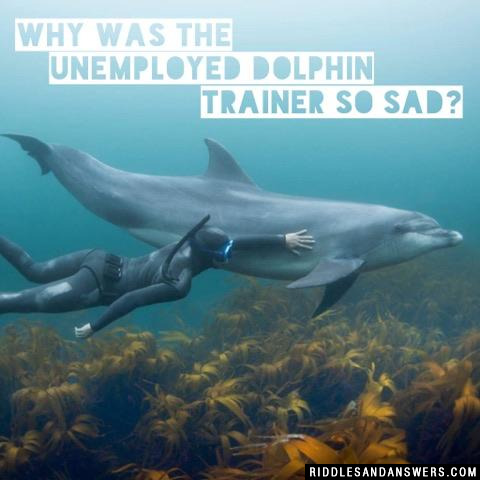 Why was the unemployed dolphin trainer so sad? What do you get when you cross a fish and a kitten? Who made the fish's wish come true? there are 12 fish and half of them drown, how many are there? What do librarians take fishing? Why did the flounder celebrate Hanukkah instead of Christmas? What a is ghosts favorite pet? Can you come up with a cool, funny or clever Fish Riddle of your own? Post it below (without the answer) to see if you can stump our users.